Conservation of the 18th Century Serpentine Walnut Secretary — Bernacki & Associates, Inc. 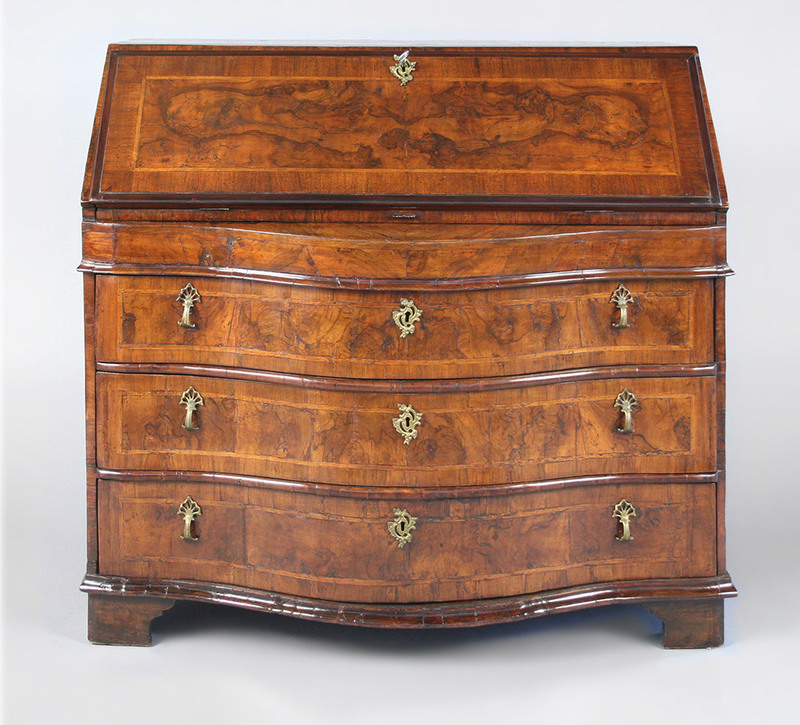 While once a piece any wordsmith would treasure, this walnut serpentine secretary arrived at Bernacki & Associates in desperate need of a restorative “revision.” Along with general instability, most drawers were either missing or – like the front drop – failed to fit within the structure. Veneer was severely damaged with cracks, dents, and missing segments. Finish was uneven and clouded and the writing service dirty and discolored. Thankfully, Bernacki & Associates were prepared to return this unique piece to full potential. After consolidation with animal hide glue, new veneer was applied and finished to match the wood and grain direction of the original. Drawers and the drop-front were repaired or re-aligned, returning stability and functionality. Finish was returned to even color and the writing surface restored. As a “final chapter,” English polish and wax were applied, bringing the story of the secretary’s restoration full-circle.